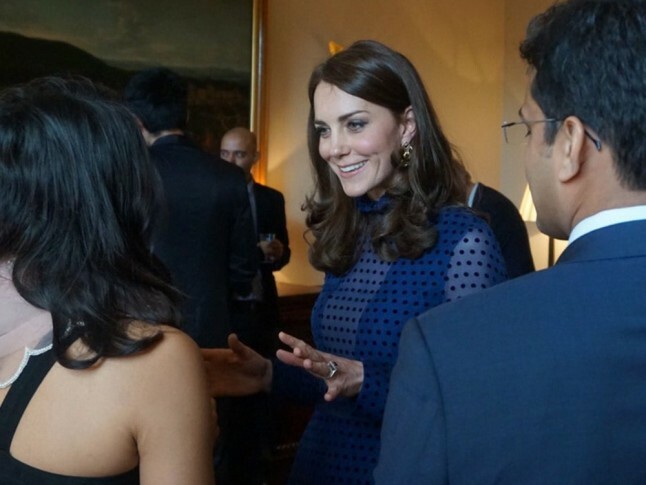 Duchess Kate actually throws a fashion spotlight in Solani! Check out all her attires and see how gorgeous the duchess is! Whatever the Duchess Of Cambridge wears will always make the headlines, but her sartorial choices cause an even greater buzz when she draws our attention to newer designers and smaller brands. Basically, when Kate steps out in a lesser-known label, she’s confirming that we need to get them on our radar, stat. And for her latest appearance, the Duchess played her style cards brilliantly, wearing the full-length Mary Illusion Dot Dress by Saloni (with Rupert Sanderson heels) for a function at Kensington Palace. First launched in 2006 by India-born designer Saloni Lodha, the Saloni label is already loved by A-listers from Emma Watson and Jessica Alba, to Rosie Huntington-Whiteley, but Kate’s seal of approval has given another, instant boost to the brand – her £498 royal blue maxi is, naturally, now completely sold out. It’s also the second time the Duchess has worn a dress by the designer in the last month – could this be her new wardrobe favourite? 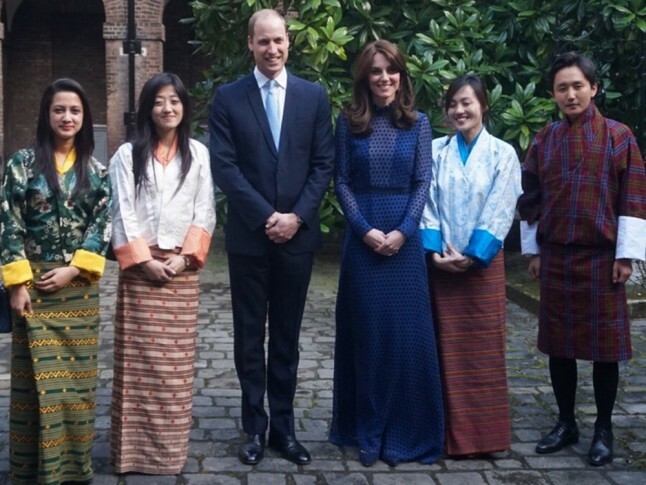 It was a perfect display of diplomatic dressing from Kate, who was of course at Kensington Palace to meet and greet natives from India and Bhutan, ahead of the Royal tour of the regions that she and William start in Mumbai on Sunday. Duchess Kate has made a few clever sartorial statements like this before – remember when she wore a dress by Canadian-born, London-based designer Erdem to kick off her royal tour of Montreal? Or when she worked Australian label Zimmerman on Sydney’s best beaches? We can’t wait to see what other new labels and Indian fashion influences Kate will work into her wardrobe when she packs for her six day tour next week. 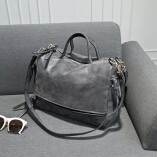 According to the Telegraph, she will take between 12 and 15 outfits for the six days of official visits.